The U.S. military is going green, in a big way and across a wide variety of applications. Military higher-ups plan to rely on renewable energy sources for 50 percent of their power by 2020, which could help the worldwide advancement of those technologies immeasurably. Many front line commanders see fossil fuels as a drain on their resources and a severe limitation to their capabilities. Renewable technologies offer a solution right now. The high casualty rate of soldiers who accompany fuel convoys is a big motivation for switching to renewables now in combat areas. U.S. Navy Secretary Ray Mabus is pushing biofuels for fighter jets, naval vessels, hybrid electric drives for ships and renewable energy systems for combat Marines. The military is playing a big part in helping the country reduce its dependence upon expensive oil. On its maiden voyage from Mississippi to San Diego, the U.S.S. 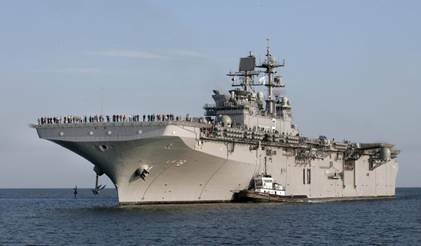 Makin Island, the first hybrid naval vessel, saved 900,000 gallons of fuel. 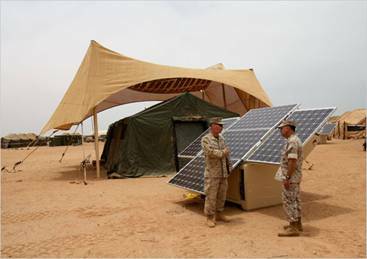 At traditional encampment sites, renewable replacements to typical diesel or kerosene fueled equipment includes portable solar panels; energy-conserving lights; solar tent shields for shade and electricity; and solar chargers for communications equipment. There is less need for noisy, expensive, energy consuming portable generators. Some 30% of all the fuel trucked into Afghanistan is needed to power all those on-site computer terminals, laptops and many other assorted electronic gear that makes the military so lethal. But that fuel effectively costs about $45 per gallon to truck in and protect. Renewable energy systems turn out to be much cheaper. A typical Marine carries 100 pounds of supplies. 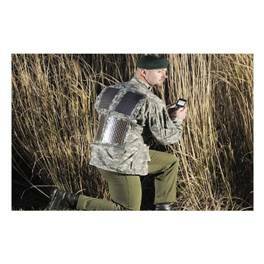 About 20% of the weight a Marine carries is for extra batteries to power electronic devices. Using batteries recharged by the sun makes that Marine able to carry more ammunition and supplies, and fight longer and farther. Renewable energy use is not confined to just fighting men and women, or deployed combat systems. 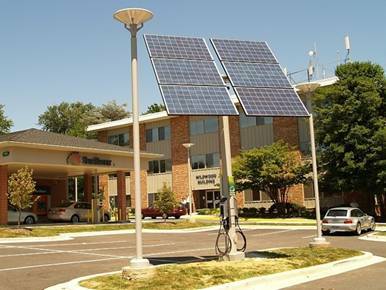 Military bases are significant energy users as well and can benefit enormously by reducing their fossil fuel use via renewable energy systems. Here the solar, wind, photovoltaics and geothermal heating/cooling systems we associate with traditional renewable applications in residential and commercial size structures is perfectly applicable and being used. During World War I, Thomas Edison headed the U.S. Navy Consulting Board and contributed forty-five inventions, including substitutes for previously imported chemicals, defensive instruments against U-boats, a ship telephone system, an underwater searchlight, smoke screen machines, anti-torpedo nets, navigating equipment, and methods of aiming and firing naval guns. After the war he helped establish the Naval Research Laboratory, the only American organized weapons research institution until World War II . And speaking of World War II, Edison’s son Charles was Secretary of the Navy under FDR. Charles was responsible for development of the famous PT boats and the legendary Iowa class battleships which included the U.S.S. New Jersey, the longest serving and most decorated battleship— the “Big J.” (as decades of sailors serving in four wars affectionately called her). Charles’s wife Carolyn launched the famed ship on December 7th, 1942, one year after Pearl Harbor. 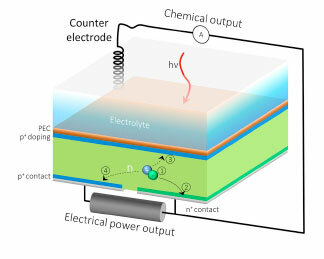 This entry was posted in Inventions Edison Would Love and tagged armed forces, go green usa, military, solar energy, solar power, soldiers, soldiers go green, soldiers harnessing the sun, sun power, sun power for us military, united states armed forces going green, united states military, us, usa on May 24, 2011 by Edison Innovation Foundation. 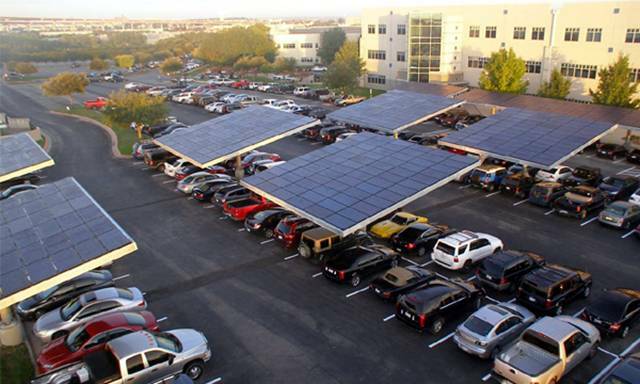 The rising popularity of solar energy panels attests that something new and different is permeating our energy mix. 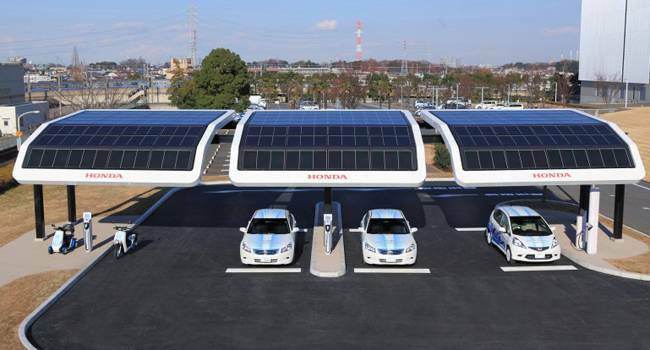 These panels, technically known as photovoltaic energy converters, take incoming sunlight and quietly produce clean electricity for direct use. Invented at Bell labs in 1954 and first used in the space program of the 1950s and 60s, these panels now are being used on homes, schools, municipal buildings and commercial structures. 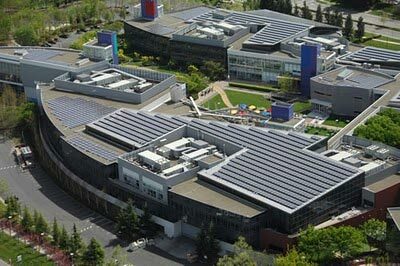 Google also has integrated solar panels into their massive, multi-building, Mountain View , California campus. There, about 9,000 solar panels will use the sun’s energy to provide about 30% of their peak electrical use. Check out this interesting website and short video to see how Google is becoming one of the greenest corporations on the planet. Shown here is a portion of the panels installed on Google’s campus. 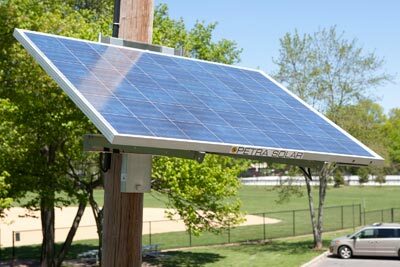 One particularly ingenious application by Petra Solar of South Plainfield, New Jersey, involves mounting solar panels on utility poles and connecting the electrical output directly into the secondary wires of the utility electrical system. Installed by local utility company bucket truck work crews, these panel systems, known as SunWave, are a quick and economic way to bring megawatt size distributed generation to utility grids. This work by Petra Solar is a revolutionary new application, capable of being used immediately and worldwide and interfacing to the smart utility grid of the future. Visit their website and see some videos there. Imagine what he could have done had he lived longer. He would love to see Petra Solar’s integration of solar panels directly into a utility system. After all it was Edison who gave us the utility system in the first place! Time ®, Google ® and Petra Solar ® are registered trademarks of their respective companies. 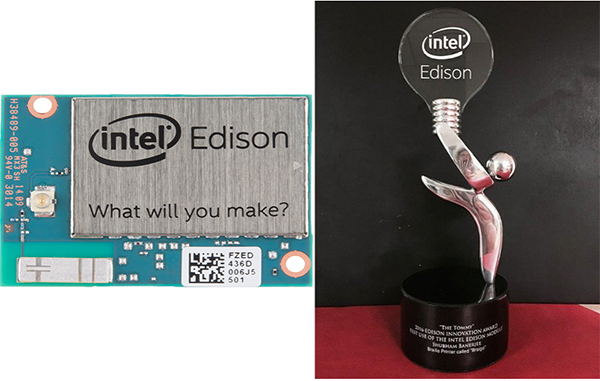 This entry was posted in Did You Know? and tagged panels, Solar, solar energy, solar panels, sun, sunny, sunshine, thomas edison on August 11, 2010 by Edison Innovation Foundation.